The cottage entered into his family in 1939 when his grandparents paid $750 for the “rights to occupy” from the Irvine Company. 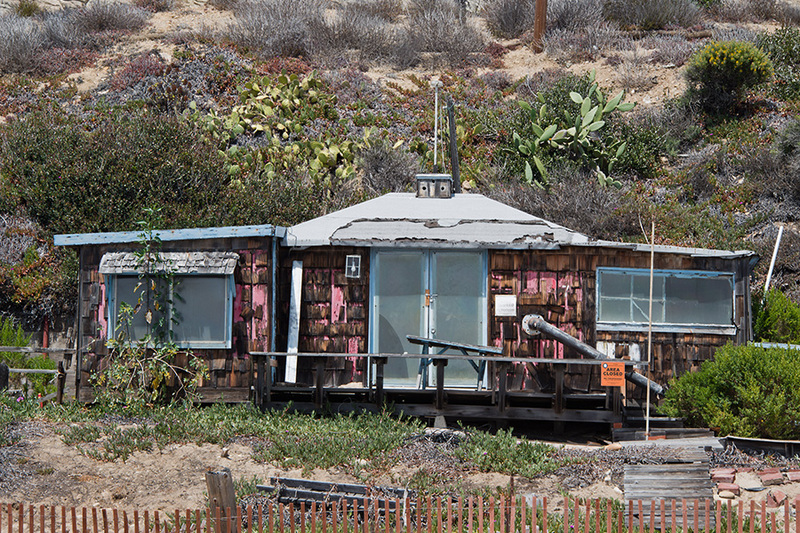 From then on, it would remain in the family for four generations, and serve as the backdrop to the sort of rustic and charming life we all imagine living in Crystal Cove would be like. In those days, the area around the Cove was almost entirely undeveloped; nearly no traffic on PCH, with Macarthur being the only other main road. There were little or no trails in the hills; horseback riding was common, and people would frequently hike back into the hills and camp. Life on the beach was carefree and simple. The families all knew each other, and formed a tight-knit community. Parents met together for bridge and poker, while kids played at the beach all day. Dale remembers the mornings were spent surfing at Scotchman’s Cove, followed by volleyball, fishing off the rocks, and enjoying campfires and fireworks in the evenings. He fondly remembers being joined by a number of characters; The Claw, Merlin, Trickster, and Shorty, a resident without thumbs (allegedly lost through wrestling alligators in Florida). Shorty would nurse wounded seals back to health in his bathtub and hold a big ceremony when releasing them back into the wild. It was an idyllic time of simplicity, and a very special experience for all.